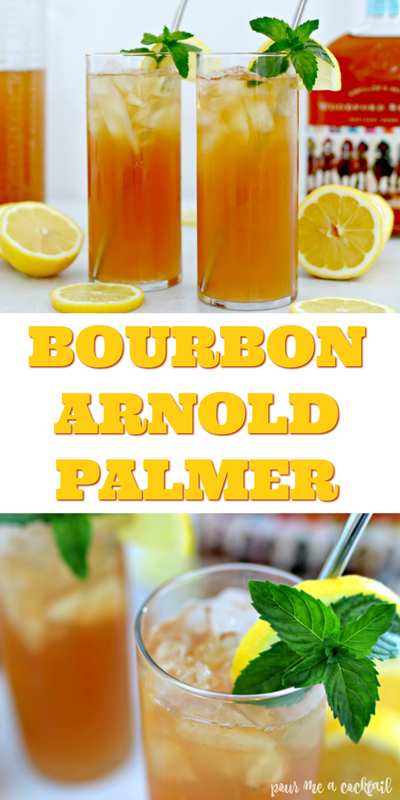 Arnold Palmers are one of my favorite drinks in the summer! 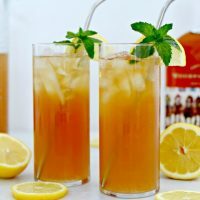 Add a little Kentucky bourbon and you have yourself a Bourbon Arnold Palmer, one of the most refreshing and delicious cocktails I’ve ever had! Living in Kentucky means that we are surrounded by bourbon distilleries. It’s so fun to visit and tour them, but the best part is that there are tastings at each distillery. One of our favorite local bourbon distilleries to visit is Woodford Reserve. The bourbon is out of this world, and the distillery is gorgeous! A couple of weekends ago, my husband and I went to a Kentucky Derby party, and I had one of the most delicious drinks I think I’ve ever tasted. My husband got a Woodford Palmer and told me I had to try it. It was OUT OF THIS WORLD! I immediately went to the bar and asked the bartender for the exact recipe and he was happy to oblige! It’s so easy to make, and ridiculously refreshing…I can see a ton of these being enjoyed on our patio all summer long! Step 1 – Fill a tall glass with ice. Step 2 – Add 1 1/2 ounces of bourbon. We used Woodford Reserve. 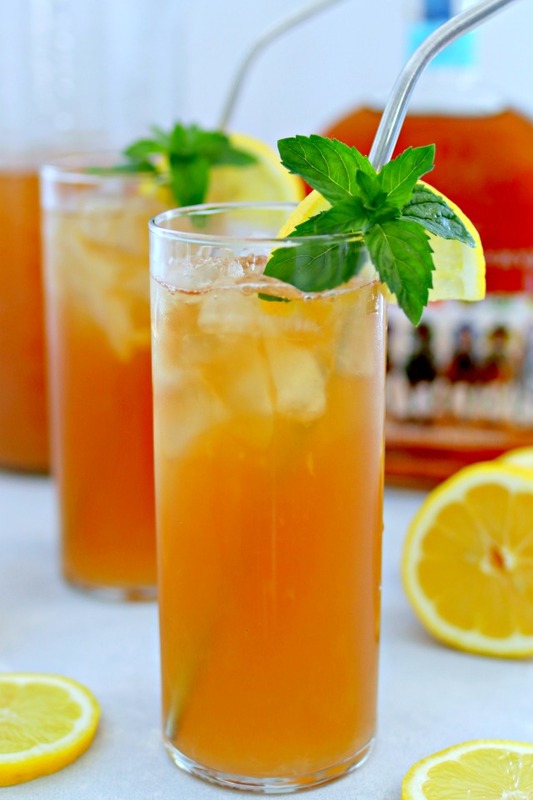 Step 3 – Add equal parts of lemonade and sweet tea…so Southern! Step 4 – Garnish with a lemon wedge and a sprig of fresh mint. Enjoy! Fill a tall glass with ice. Add 1 1/2 ounces of good Kentucky bourbon. Fill rest of glass with equal parts of lemonade and iced tea. Garnish with a lemon wedge and a sprig of fresh mint. 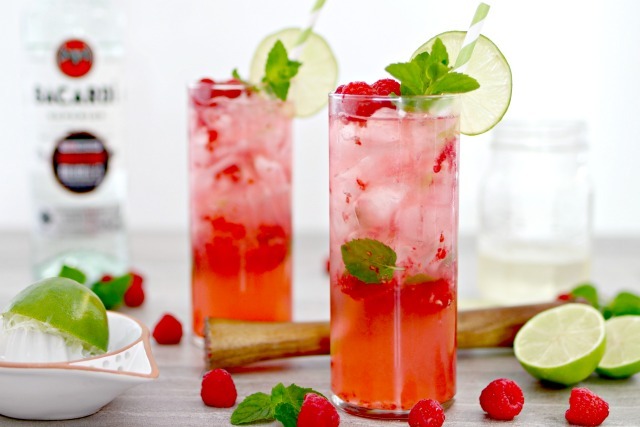 These Raspberry Mojitos are so fresh and delicious! They are the most requested cocktail that I make when friends come over! 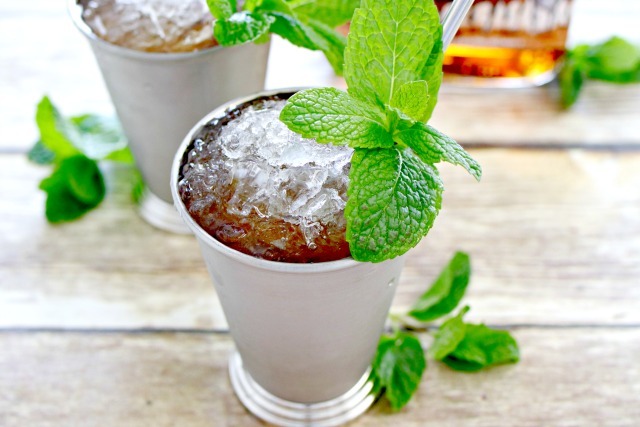 If you love bourbon, you definitely want to try a Mint Julep! 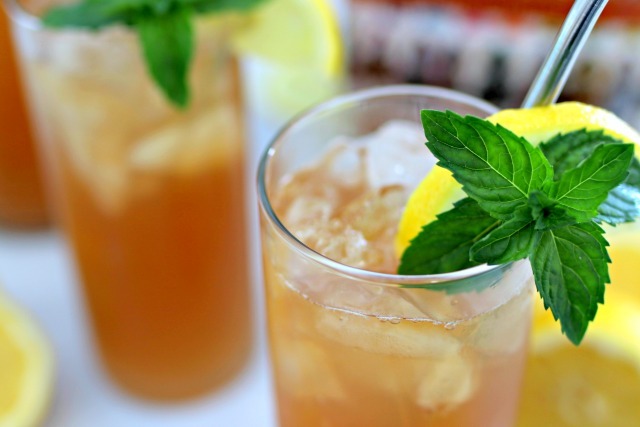 The Mint Julep is the official drink of the Kentucky Derby and is so good! 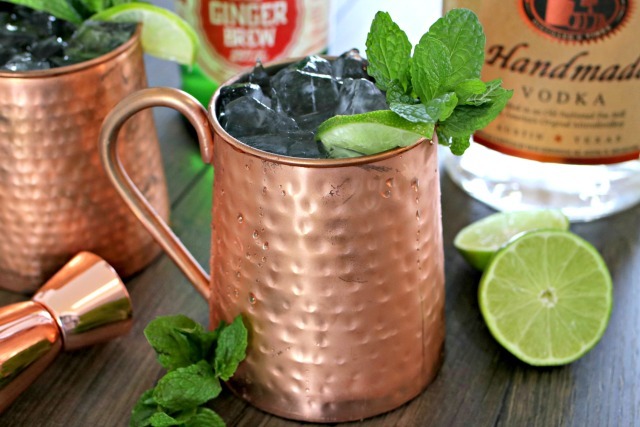 If you prefer a cocktail without bourbon, try a Classic Moscow Mule! They are so delish, and fun to serve in copper mugs. No copper mugs? No worries…they are just as amazing served in any glass you have!